The hit game Flappy Bird was abruptly pulled from the App Store and Google Play over the weekend, with the developer behind the popular title seemingly unable to handle the sudden wave of media attention. At this point in time, it looks very much as though the game isn’t coming back, and naturally, some have sought to capitalize on this fact. They say you can get just about anything on eBay, and they weren’t wrong; selling for a higher-than-usual price, you can pick up an iPhone 5s in Space Gray – with Flappy Bird installed. As with any eBay auction that hits the blogosphere, the bidding war has already spiraled out of control, hitting $99,000 at the time of writing. 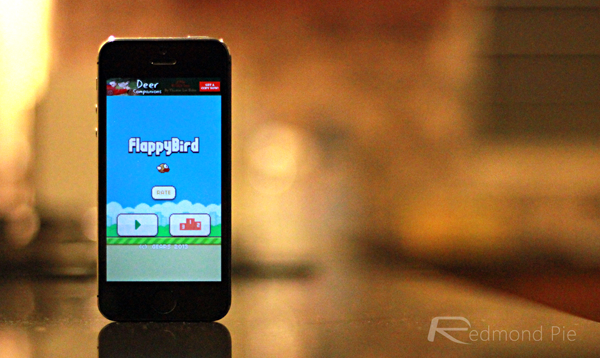 But the mere fact that some folks believe that a profit is there to be made on a device featuring this game is a testament to just how much it has consumed the lives of those playing it, and with more than 50 million downloads, the lone developer behind Flappy Bird arguably halted its progress right at its peak. At this moment, it’s extremely unlikely that Flappy Bird will be making any kind of return, so if you’re among the minority who have yet to download the title, then you’re probably out of luck. There is, of course, a chance that the developer may reconsider his decision, but after a couple of weeks in which he must have been inundated with buyout offers, interview requests and other general enquiries, one suspects he’ll just be seeking a little peace and a return to normality. Flappy Bird, although extremely addictive, has also proved hugely frustrating among those who have played it, so if you didn’t manage to latch onto the craze before it was abruptly ended, perhaps the dev’s decision to remove the app was a blessing in disguise! But hey, if you really, really want this game and happen to have a spare hundred grand lying around, check the source link and get involved in the bidding!